Manufacturer of a wide range of products which include auger screw, forming collar and ball transfer tables. We offer premium grade Auger Screw that is available in various specifications. 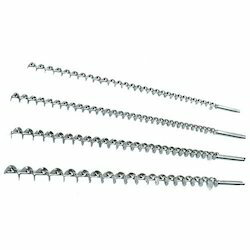 Our range of stainless screw is crafted with a lot of emphasis on the finish and designs. The screws offered by us are of unsurpassed quality. Our screws are used for the purpose of drilling holes in a variety of materials including wood. These screws can be availed from us at highly competitive market rates. 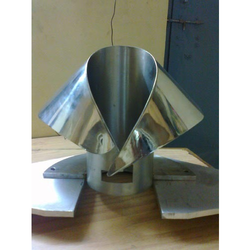 We are offering the best quality range of Forming Collar to our esteemed clients. These collars are manufactured at the technologically advanced production facility in order to ensure that we provide only flawless products to our clients. Standard centers 3" and 6"
We S.G. PACKAGING & CODING CO. are leading manufacturer of Ball Transfer Tables. our Ball Transfer Tablesis in minimum price with best quality. quality service is our moto.